Because of a Henri Matisse exposition in MoMa New York, five great French bands and singers were invited to play in the Big Apple. Barbes Records releases a digital-only compilation (out Aug. 3 on iTunes, Amazon, etc) with songs by FS-faves like Holden, Marianne Dissard and Fredda to promote the expo and the artists. 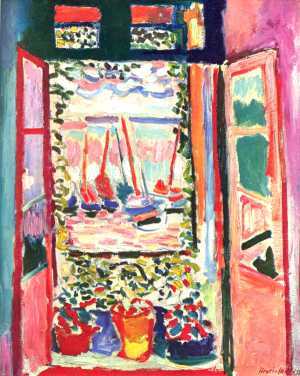 The only song about a Matisse painting is an inédit by Fredda (Fréderique Dastrevigne) called Fenêtre à Collioure. 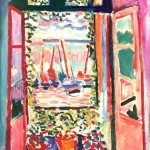 Which, as you all know, is also a painting by Matisse (pictured). The brushes in the intro sound like a brush on canvas – intentional? Fredda sings about the boats in the window and the colours – lovely song. Dates for the NYC-shows here. If any of my American readers is going to one (or more) of these shows, please write a review! 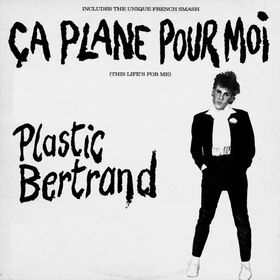 Today, two experts proved what almost everybody knew for over 30 years: Roger Jouret, better known as Plastic Betrand, did not sing the biggest Belgian punkhit ever: Ça plane pour moi. Bertrand’s legal team isn’t impressed, they released a statement saying that in a legal sense, their client is still considered to be the performer. The history of the song is shady. First off, their was Jet Boy, Jet Girl, sung by Elton Motello (aka Alan Ward, a sound engineer who’d record an enormous amount of hits). Story goes that producer and co-author Lou Deprijck used the same band to record a less risky version. Lou himself sang, but because he didn’t look punk enough, drummer Roger became the face of the record. It sold 8 million copies. UPDATE: Jouret fessed up: he did not sing on the record. Deprijck, who’s best known for his latin-disco-outfit Two Man Sound (they also recorded a version of Jet Boy, Jet Girl called Bad Boy, Bad Girl – if you have an mp3, please share!) but also the man behind Viktor Lazlo, Lou & the Hollywood Bananas and Kim’Kay, didn’t seem to mind that much that he wasn’t considered the singer. He was co-author of the song, so the money came pouring in. But maybe, like Dustin Hoffman in Wag the Dog, he wanted the full credit. In 2006, Lou lost a court case about who sang the song. Now, speech-experts say they can tell it’s Deprijck singing. And what about Alan Ward/Elton Motello? He worked with Lou several times after Plane became a millionseller, so I guess something was settled. Read this interesting article on the roots of the song too. Belgian hero Arno Hintjens claims that Jet Boy was based on a song he did with his first band Tjens Couter in the mid-70s. Alan Ward was the engineer for that session. In the past and present, Ça plane pour moi was covered many, many times. Even US indie-darlings Vampire Weekend did their version. I did a post with over 15 versions on the old blog. On this blog you find a nice round up too. This time I present several recent versions that I like a lot, plus the above mentioned roots-versions. Two covers are sung with the real Plastic Bertrand, by American country-funnymen The Boss Hoss and Canadian gypsyjazz-funnymen The Lost Fingers. Annie Dufresne is from Quebec as well, her version is at break-neck speed. I recently came across the rockabilly-version by Dutch oldtimers Keessie & the Seltans of Swing, and the 80s German version by Benny (hilarious video here). 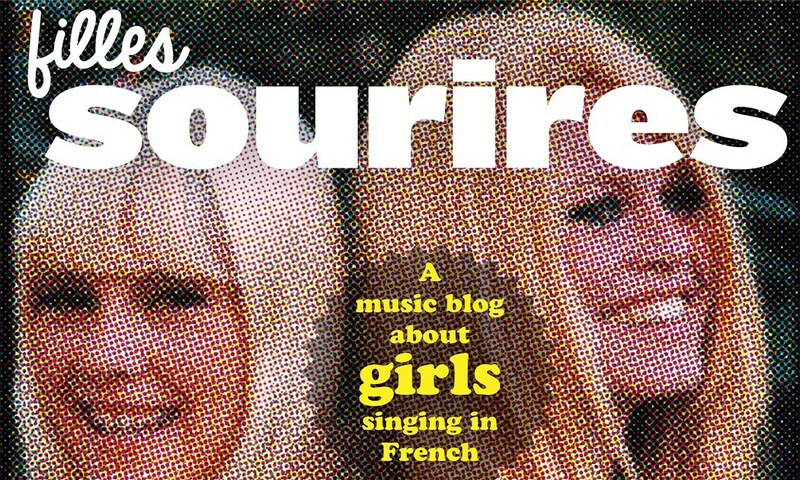 I really like the Nouvelle Vague-cover, and the ironic dance-rework by Set de Choeur. Plastichke is a funny Belgian parody. Read all about that one here. 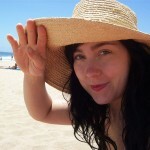 Linda Carlsson, aka Miss Li is a hyperactive ray of sunshine. She released three albums in the space of one year, and conquered many Scandinavian hearts with her mix of pop, cabaret and jazz. She’s probably best experienced live, but her albums go some way of capturing that restless energy. Her latest album is called Dancing the whole way home. She’s not sung in French yet alas, but we can hope. This song is a catty delight about stealing your best friend’s guy. See a(nother) song here. Scandinavian girls. 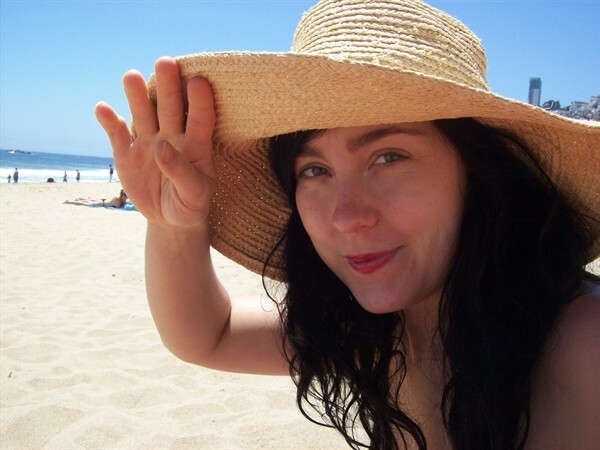 In the past several Northern gals were featured on this blog (like Moa Eriksson, Friday Bridge, Anna Ternheim) only because they sang in French. But recenlty I fell in love by singers like Anna Jarvinen, Anna Puu and Veronica Maggio, who sing in Swedish or Finnish, and there are a whole bunch of blonde beauties from the Northern parts of Europe who sing in English too. Help and tips are always welcome. Fredrika Stahl is Swedish, but studied in France for several years and is a big name in the Hexagone. Her new jazz-pop album Sweep Me Away is just out and for the first time, it doesn’t include a French tune. Alas, because gorgeous Fredrika has a wonderful voice (a bit like Stacey Kent) and sings very seductively in French. From her first album I’m posting the Barbara-like Pourqoui pas moi. See the video for her new single here. KX Radio is a Dutch internet-only radiostation (owned by acclaimed dj Rob Stenders) that broadcasts shows by the creme de la creme of Dutch radio-dj’s, playing only the songs they like themselves. I started making podcasts for KX a few weeks back, that show’s called Ongehoord Goed (Unheard Goods) and I play my favorite non-English tracks. Anything goes, from bossa nova to cumbia to hiphop to rawk, sung in French, Finnish, German, Russian, Spanish…non-English, as I said. Here’s a link to the latest podcast, plus a tracklist. 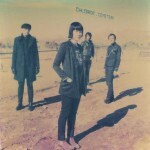 I will post links and tracklists of earlier shows later on this blog. The show’s hosted in Dutch, and yes, I’m not a natural when it comes to radiomaking. Enfin. Hope you like it anyhow. Pictured on the right is Swedish-Italian beauty Veronica Maggio. It’s Quatorze Juillet and to celebrate I give you a couple of guys. With girls, added. First off is Ben L’Oncle Soul, who used to call himself Oncle Ben, until a brand of rice by one Uncle Ben protested. 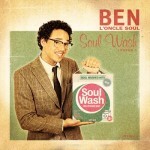 He’s signed by Motown France, and makes soul like Motown made back in the day. But in French. Most of the time. He debuted with an EP last year sporting just covers, Barbie Girl by Aqua and I Kissed a Girl by Katy Perry. On his first album, there’s one cover (Seven Nation Army), the rest are brand new songs. I really like Soul Man, with those Motown-y drumrolls. Radio Néo’s blog introduced me to Piero Moiolo, a singer-songwriter who played in ska-bands in the nineties, but now makes eloquent, charming folksy-songs (they compare him to both Joseph d’Anvers and -M-), the title track of his upcoming album Dans les squares en été is a terrific late summerevening song. Finally Eric Belanger. From Quebec, yes, but no relation to Daniel Belanger. And no. he’s not this hockeyplayer. Eric’s a thoughtful singer-songwriter with a pretty voice. His new (second) album is just out, on which he duets with Marie-Andrée Landry. This song is a bonus track, but on his first album he kicked off with a gorgeous duet with the ultra-lovely Andrea Lindsay. Both songs are here. See a great animation video of Nous here. “In the film ‘Mademoiselle Chambon’, an enigmatic and refined schoolteacher enters the quiet life of a mason, cracking the surface of his simple and idyllic world. Everyday life for Jean (Vincent Lindon) means work, caring for an elderly father (Jean-Marc Thibault) and raising their son, Jeremy, with wife, Anne-Marie (Aure Atika). But when he meets his son’s new teacher, Mlle. Chambon (Sandrine Kiberlain) to discuss the boy’s work, something changes in him. The difficulty of love between these two individuals creates a study of repressed passion and subtlety, of deep longing and missed opportunities. Watch closely and you’ll sense that the chemistry between Lindon and Kiberlain seems real, perhaps because they were married but separated at the time of filming. Remember Poney Express? Boys plus girl making countryrock with a French twist. This was their great ode to Paris. Imagine my surprise when I heard Palladium, a track from their upcoming new album. So synthesized, it sounds like an Alizée track. Or maybe more like Human League, because Martin Rushent produced. Ana and Robin added Michael from AS Dragon and Gerard from Vegomatic to the band. Another new track you can hear on Myspace is more in that country-folkish atmosphere – makes me very curious about that new cd, because I really like Palladium. Ana sounds sooo seductive.